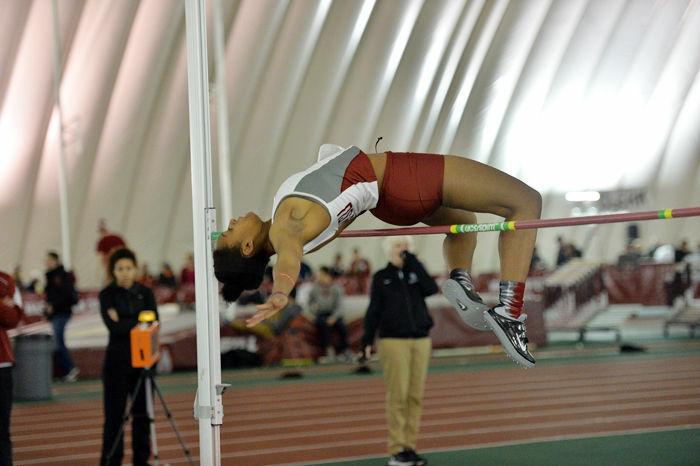 Senior Lateah Holmes clears the bar during the high jump event at the Cougar Indoor in Pullman, March 1. 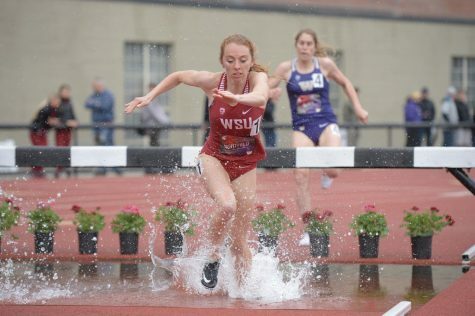 With the sun breaking through the clouds and melting away winter’s grasp, the WSU track and field team opened its 2016 outdoor season Friday and Saturday at the USC Trojan Invitational. 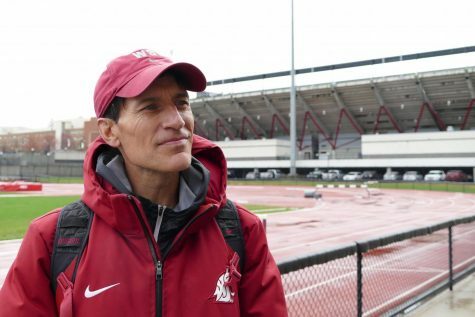 Two Cougar high jumpers and one thrower won their respective events at Locker Stadium-Crowell Field on the USC Campus, while both of the men’s and women’s 4×100 meter teams had strong outings. 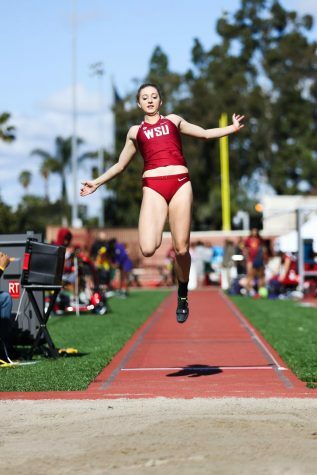 Seniors Lateah Holmes and Thane Pierson won their respective high jump events Saturday. 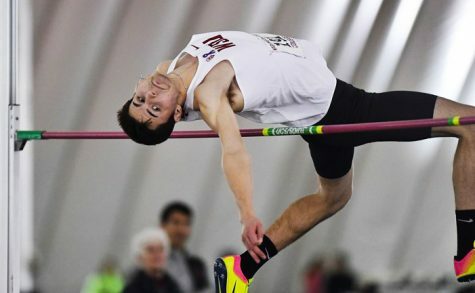 Holmes cleared 5-feet, 7-inches to take the women’s title and Pierson got over 6-11 ¾ to win the men’s. 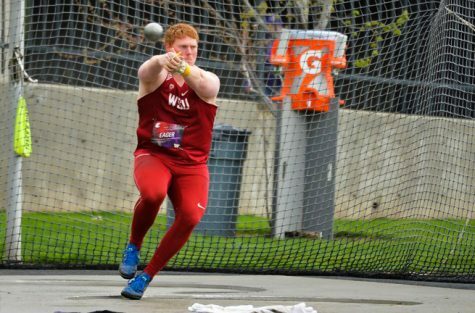 Redshirt sophomore hurler Brad Stevens tossed the javelin 223-5 to win the men’s event. The women’s 4x100m relay team, composed of freshman Regyn Gaffney, junior Danielle Darden, and seniors Christina Ekelem and Dominique Keel, finished with a time of 45.34 seconds for a second place finish behind host USC (44.41). The 4x100m was the only track event the Cougar women competed in. The men’s 4x100m squad – sophomore Zach Smith, freshman Ja’Maun Charles, senior Terrance Chambers and sophomore Jonnie Green – finished in 40.51 behind USC (39.93) and Cal State Fullerton (40.40). 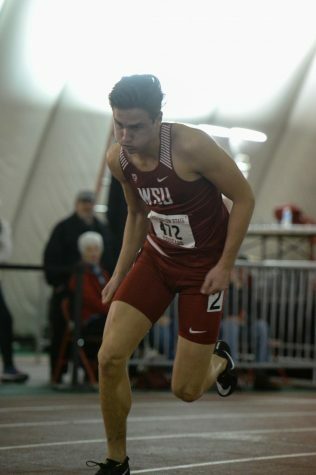 A few Cougar leapers headed to Spokane on Thursday and Friday to compete in the Buc Scoring Meet at Whitworth University. Senior Essence White (5.45m) and junior McKenna Hogan (5.36m) finished 1-2 in the women’s long jump, and sophomore Brendan Rexus won the men’s high jump by clearing 2 meters. 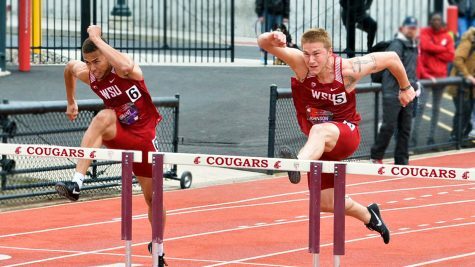 The Cougars will take the track Tuesday at the Jim Bush Collegiate Invitational at UCLA to compete against the Bruins and Arizona Wildcats. 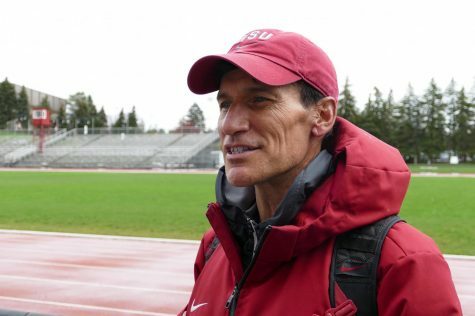 The Pac-12 Networks will broadcast the meet.